Sen. Edward Kennedy, D-Mass., at the inauguration before he fell ill.
WASHINGTON — Sen. Edward M. Kennedy, ill with a brain tumor, was hospitalized Tuesday but quickly reported feeling well after suffering a seizure at a post-inauguration luncheon for President Barack Obama. "After testing, we believe the incident was brought on by simple fatigue," Dr. Edward Aulisi, chairman of neurosurgery at Washington Hospital Center said in a statement released by the senator's office. "He will remain ... overnight for observation, and will be released in the morning." The statement said the 76-year-old senator "is awake, talking with family and friends, and feeling well." The statement did not disclose the tests that were performed on Kennedy, whose seizure was witnessed by several fellow senators seated with him at lunch. Sen. John Kerry, D-Mass., told reporters he and Kennedy's wife, Vicki, grabbed the senator as he became ill.
Added Sen. Chris Dodd, D-Conn., "It took a lot out of him. Seizures are exhausting." Even so, Dodd quoted Kennedy as saying, "I'll be OK, I'll see you later" as he was put into an ambulance. "The good news is he's gonna be fine," Dodd added. 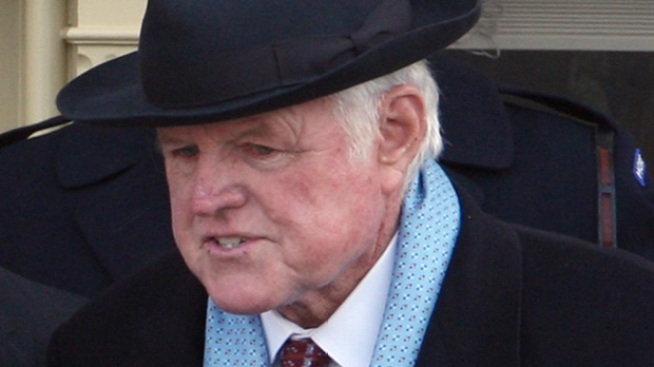 Kennedy had appeared in good health and spirits a few hours earlier when he stepped out of the Capitol and onto the inauguration platform where Obama took the oath of office. His endorsement of the former Illinois senator had come at a pivotal point in the Democratic presidential race, and the older man campaigned energetically for the younger one. Sen. Jay Rockefeller, D-W.Va., told reporters that Obama noticed when Kennedy became ill, and rushed over to his table. "There was a call for silence throughout the room," he said. "The president went over immediately. The lights went down, just to reduce the heat, I think." In his remarks, Obama said his prayers were with the stricken senator, his family and wife. "He was there when the Voting Rights Act passed, along with John Lewis, who was a warrior for justice," the newly inaugurated president said. "And so I would be lying to you if I did not say that right now a part of me is with him. And I think that's true for all of us," Obama said. Sen. Robert C. Byrd, 91, also left the luncheon early, but his office and others said his health was not the reason. Byrd "is currently in his own office ... and is doing fine, though he remains very concerned about his close friend, Ted Kennedy," said Mark Ferrell, a spokesman for the West Virginia Democrat. Kennedy was diagnosed last May with a particularly aggressive type of brain tumor, called a malignant glioma, after suffering a seizure at his Massachusetts home. He had what his doctor described as successful surgery to remove as much as possible of the tumor in his left parietal lobe. Kennedy then underwent radiation and chemotherapy, necessary because doctors know that even if they remove all of the visible tumor, stray cells almost certainly remain. One doctor not connected with the senator's care said it's not unusual for patients recovering from brain tumors to suffer seizures. If so, "it does not necessarily mean the tumor's growing back," said Dr. Matthew Ewend, neurosurgery chief at the University of North Carolina, noting that Kennedy already would have been receiving MRI scans of his brain every few months to check for that possibility. Patients recovering from a brain tumor almost always are prescribed anti-seizure drugs, and something as common as a change in schedule could cause a dip in blood levels of that medication and produce a seizure, he said. Fatigue could also cause illness.